You can conduct searches for your leads within Sales Navigator and view their Name and Company Domain by clicking the Gibbon button. Your leads First Name, Last Name and Company Domain is used to validate their email address with their company servers. You can edit errors to the Name and Domain in the LeadGibbon sidebar before generating a valid email address. 2) Check and validate email addresses of your leads in a single click. 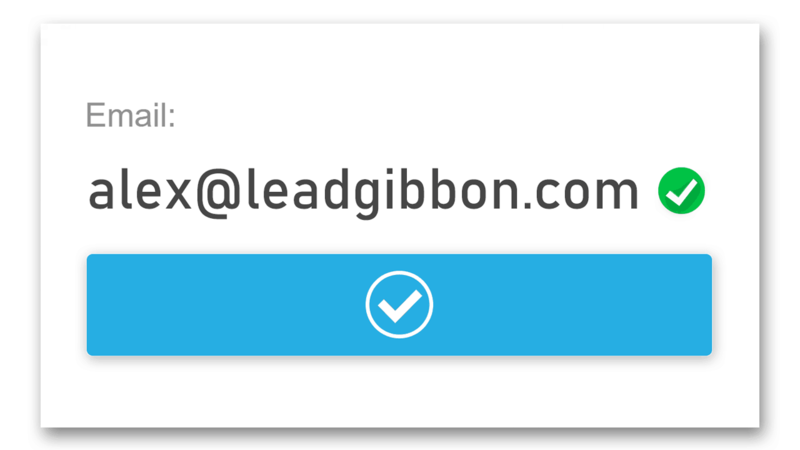 With a simple click inside the LeadGibbon sidebar, you can generate and validate email addresses of your leads. To export lead data (including email address) to Google sheets simply click the Google Drive button. For faster export to Google Sheets, simply click the check mark button on the lead profile page or on the Sales Navigator search page. 3) Capture and export complete lead records (including email addresses) to Google Sheets. Get full contact information for your leads. Capture name, job title, email address, company name, company size, location, industry and much more. LeadGibbon can extract an unlimited number of lead records from LinkedIn Sales Navigator to your Google spreadsheet. 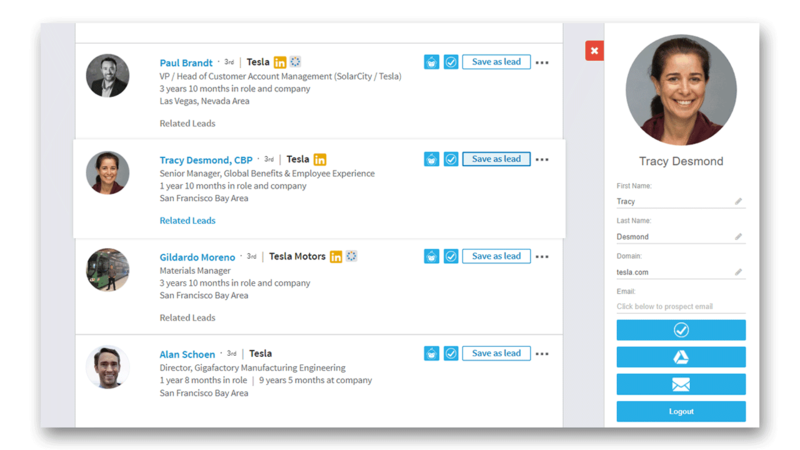 4) Send emails to your leads without having to leave LinkedIn. 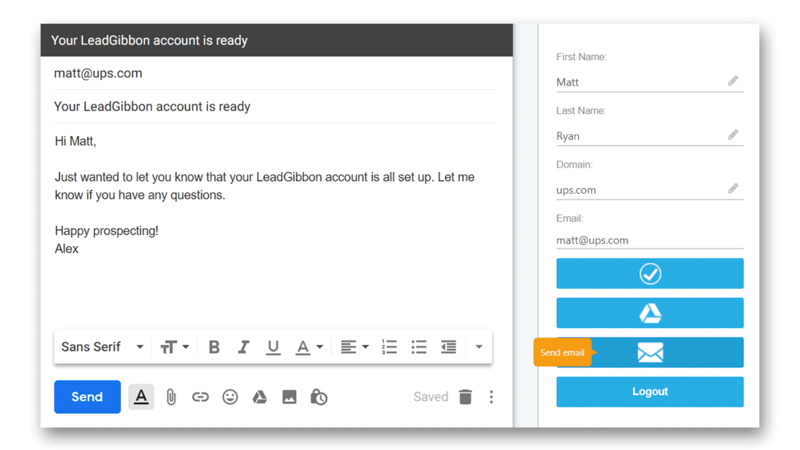 LeadGibbon populates the compose window of your default mail application (Gmail, Apple Mail, Outlook, etc) with the validated email address to connect you with your leads without having to leave LinkedIn. Ready to reach more sales leads? Try it Free. With the LeadGibbon Chrome extension, you no longer have to worry about how to find a prospect's email address. In a single click, you can generate and save validated email addresses of all your leads on Sales Navigator. 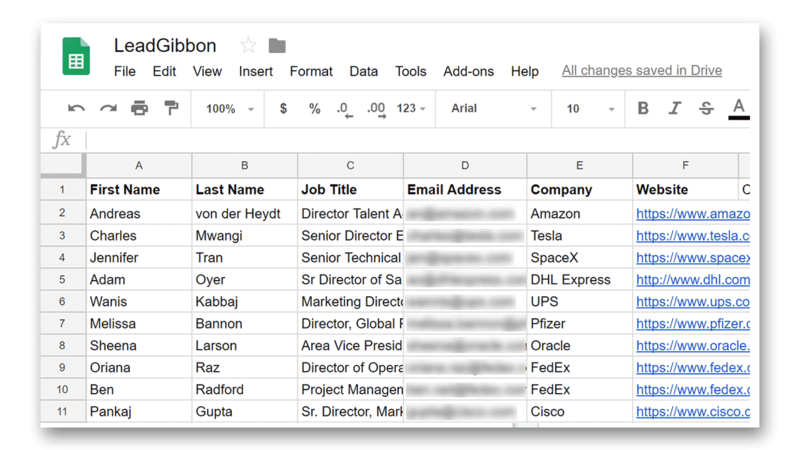 Save your leads' data (including Job Title, Company Size, Industry, Business Address and more) right to your Google Drive account using Google Sheets. LeadGibbon also provides you the option of sending an email without ever having to leave your Sales Navigator screen. In short, you no longer need to use outdated, time-consuming methods of manual email address search or lookup. With LeadGibbon you can build fresh, targeted and highly accurate contact lists quickly and cost effectively . Whether you need to find email addresses and lead data for just a few leads, or you require unlimited usage of LeadGibbon for large teams, we have just the right plan for you. Very effective way to build a list of leads while I'm watching Netflix so that I can send targeted emails to key prospects the next day.